EDINBURG – Ann Jacob, a student at South Middle School, won the Edinburg Consolidated Independent School District’s annual Spelling Bee for a second consecutive year. “It’s amazing, because I usually only win like rarely,” said Ann, who will once again begin preparing for the regional competition. “It’s a bunch of people that are way older than you and you’re competing against them to get first place to go to nationals. So, it’s intimidating." 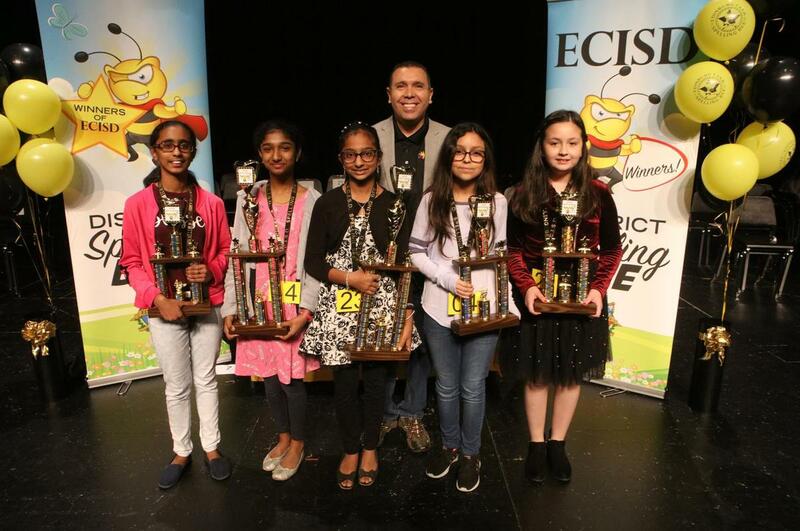 Ann and 78 other top spellers from third grade to eighth grade participated in the Edinburg CISD 26th Annual District Spelling Bee, which was organized by the district’s Library Services Department. All five will now compete on March 2 in the Rio Grande Valley 31st Annual Regional Spelling Bee 2019 at South Texas College in Weslaco. The champion of the regional competition will win an all-expense paid trip to compete in the 2019 Scripps National Spelling Bee held in Washington, D.C. this summer.